We’re happy to announce a group discussion for next month. 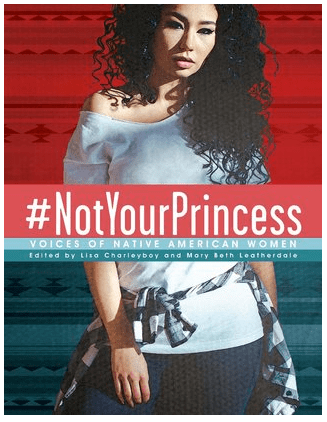 We’ll be reading #NotYourPrincess: Voices of Native American Women edited by Lisa Charleyboy and Mary Beth Leatherdale. These are the same editors who brought us Dreaming in Indian [my review here] and Urban Tribes [our discussion here], so you know it’s an excellent compilation of Native voices. Our plan is to read the book now and start our group discussion near the end of September. In mid-October we’ll post our discussion. We hope you’ll join us in reading and share your thoughts with us next month or on Twitter as you read. Mvto. Thank you for your attention to Native writing and for all of the wonderful work you do across the board. Most appreciated.